The lagoons and the Piedras Rojas is one of the longest day trips from San Pedro de Atacama. It is also one of my favourites since I got to see a variety of landscapes and animals. We started with breakfast next to one of the lagoons before driving on through villages and deserts and stopping at the Piedras Rojas, just before the border with Argentina. The rocks themselves were neither very red nor the most impressive I have ever seen, but they are located next to a lagoon with a spectacular light green colour. After lunch in a tiny restaurant, we went on to visit the Chilean Salt Flats. They do not look anything like the Bolivian ones, so don’t expect to take lots of funny pictures here (besides, they are in a natural reserve and you have to stay on the paths). But they surround the Laguna Chaxa, which is home to hundreds of flamingos. They live and breed in the lagoon, where they spend most of their days fishing for tiny crabs. It’s the colour from those shrimps that give them their pink feathers. 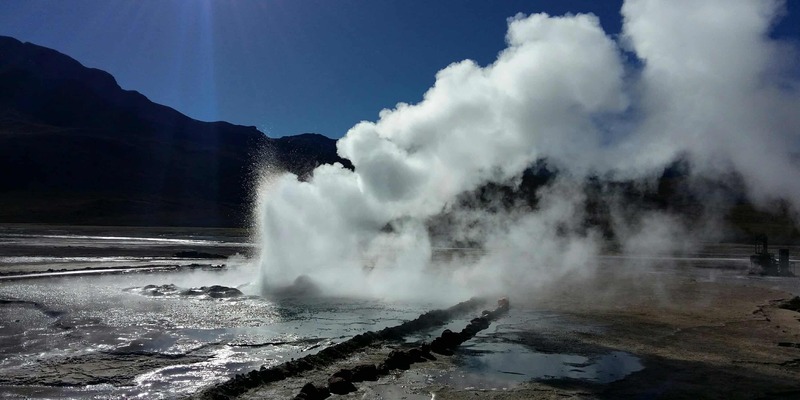 The field of geysers north of San Pedro de Atacama can only be visited in the early morning. Tours leave the town between four and five. Our driver rushed like a madman through the night, along a windy road that took us up almost two thousand meters. When we finally arrived at the geysers, it was still dark – and freezing cold. I had heard that it would be cold up there but I had not known how cold it would be. According to our guide, the temperature was -10°C, but with the wind it felt like -15°C. We had breakfast in the darkness and went to see the geysers when the sun came out. As cold as it was, seeing the geothermal activity was well worth it. Imagine a field with columns of steam rising up from everywhere, and boiling water coming up to the surface just next to frozen rivers. Add in the El Tatio geyser, the largest one that sprays up in the air, and the early start is well worth it. The geysers, by the way, are only active when the outside temperature is low. As soon as the sun comes up and it gets warmer, you can see all geothermal activity get less and less until it disappears. The Valle de la Luna is the best place near San Pedro de Atacama to experience sunset. Tours begin in the afternoon and take you all the way through the moon valley, before taking you up to a viewpoint for sunset. We started by visiting a salt cavern whose walls were completely made out of salt, located inside a salt canyon. When we stood still and didn’t make a sound, we could hear the salt crack as it shifted in the heat. Our next stop were some natural rock formations before climbing a giant dune. From here, we had an amazing view over the Valle de la Luna. The tour didn’t end here and we went onwards to our last stop, another viewpoint to watch sunset. The whole scenery looked unreal as the sun slowly disappeared behind the mountains. I have to admit, I did not do any of the stargazing tours in San Pedro de Atacama. But I did one in Cusco and from what I heard, they are supposed to be pretty similar. You get picked up in the evening and drive out of the town, to a place where it’s dark enough to properly see the stars. It is so dark in the Atacama Desert that you can easily see the milkyway and the dark shadows in it. The Incas used to name those dark shadows. After one of those tours, you will never look at the sky in the Southern Henisphere again without being reminded of the black llama. Of course, you will also get the chance to look through a telescope and see some of the stars and planets in our sky close up. Ask around, some of the tour operators even include hot chocolate in their tour. A multi-day trip to Bolivia is one of the most amazing things you can do from San Pedro de Atacama. You have the choice between either ending in Uyuni or adding an extra day and returning to San Pedro de Atacama. 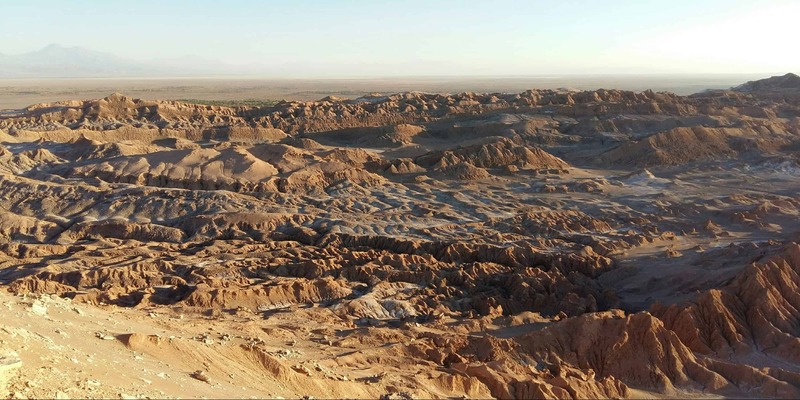 Your day starts with a border crossing and breakfast at an altitude of 4800m (don’t do this trip just after arriving in San Pedro de Atacama or you will get a head-splitting headache – get used to the altitude first). Then, you will spend the next two days driving past surreal desert landscapes, colourful lagoons and thousands of flamingos. 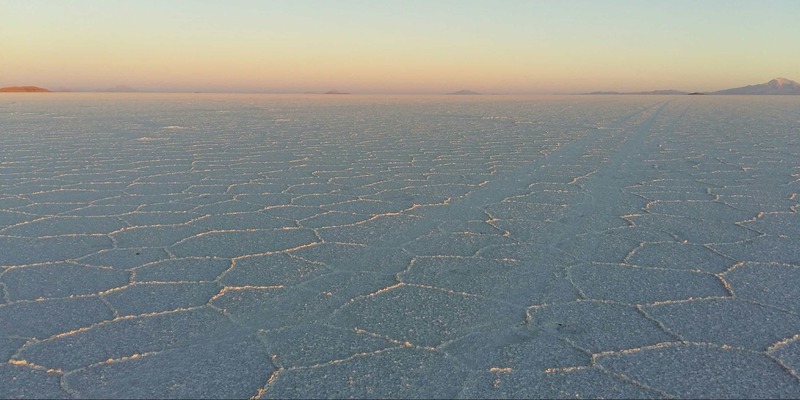 On the third day, you have an early morning start to see sunrise in the Salar de Uyuni. 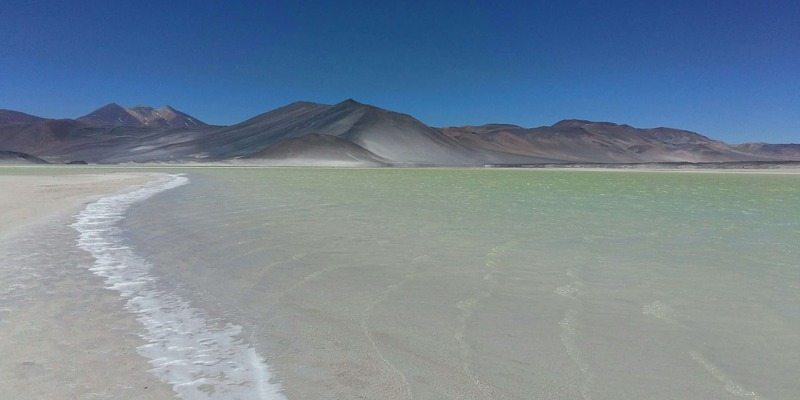 You will get the chance to take lots of pictures in the Salar before either ending your trip in Uyuni or making your way back to Chile in the afternoon.